I am a specialist of Geology and Paleontology especially on Miocene planktonic foraminiferal biostratigraphy. I am a member of AGU, Cushman Foundation for Foraminiferal Research, the Geological Society of Japan, the Palaeontological Society of Japan, the Japanese Association for Petroleum Technology and the Seismological Society of Japan. Takuma SUZUKI, Hiroki HAYASHI, 2019, A preliminary analysis for test size of planktonic foraminifera Globigerinoides ruber off Miyako Island, Okinawa Prefecture. In Inoue, T. (ed. ), Marine Geological and Geophysical Studies around Okinawa Islands -around of Miyako, Ishigaki and Iriomote Islands- Preliminary Reports on Researches in Fiscal Year 2018, GSJ Intermim Report, no. 77, 1-6 (in Japanese with English title). Takuma SUZUKI, Hiroki HAYASHI, Yukio YANAGISAWA, Osamu FUJIWARA and Toru DANHARA, 2019, Integrated chronostratigraphy of the Miocene sedimentary sequence in the northeastern area of Sendai City, Miyagi Prefecture, Northeast Honshu, Japan. Bulletine of the Geological Survey of Japan, vol. 70 (1/2), 17-41 (in Japanese with English abstract). Masayuki HYODO, Balazs BRADAK, Makoto OKADA, Shigehiro KATOH, Ikuko KITABA, David L. DETTMAN, Hiroki HAYASHI, Koyo KUMAZAWA, Kotaro HIROSE, Osamu KAZAOKA, Kizuku SHIKOKU and Akihisa KITAMURA, 2017, Millenial-scale northern Hemisphere Atlantic-Pacific climate teleconnections in the earliest Middle Pleistocene. Scientific Reports, 7:10036. Doi:10.1038/s41598-017-10552-2. Hiroki MATSUI, Hiroshi NISHI, Azumi KUROYANAGI, Hiroki HAYASHI, Minoru IKEHARA and Reishi TAKASHIMA, 2017, Vertical thermal gradient history in the eastern equatorial Pacific during the early to middle Miocene: Implications for the equatorial thermocline development. Paleoceanography, doi:10.1002/2016PA003058. Chikara HIRAMATSU, Toshihiro TAKAHASHI, Masashi HIGASHI, Takashi KURATOMI, Toshiaki IRIZUKI and Hiroki HAYASHI, 2017, Diatom biostratigraphy of the Miocene sequence in the national park in Dogo, Oki Islands, Shimane Prefecture, Japan. Journal of the Japanese Association for Petroleum Technology, vol. 82, no. 2, 131-142 (in Japanese with English abstract). Hiroki HAYASHI, 2017, Seismicity of recent years after 2001 in Shimane Prefecture and its implication to the local geomorphology and geology. Geoscience Reports of Shimane University, no. 35, 17-24 (in Japanese with English abstract). Moriaki YASUHARA, Hokuto IWATANI, Gene HUNT, Hisayo OKAHASHI, Tomoki KASE, Hiroki HAYASHI, Toshiaki IRIZUKI, Yolanda M. AGUILAR, Allan Gil S. FERNANDO and Williem RENEMA, 2016, Cenozoic dynamics of shallow-marine biodiversity in the Western Pacific. Journal of Biogeography, vol. 44, no. 3, 567-578. doi:10.1111/jbi.12880. Hiroki HAYASHI, Koji SUZUKI and Maya FUJIMOTO, 2016, Data report: Pleistocene planktonic foraminifers from the Kumano forearc basin, IODP Expedition 338 Holes C0002K and C0002L. In Strasser, M., Dugan, B., Kanagawa, K., Moore, G.F., Toczko, S., Maeda, L., and the Expedition 338 Scientists, Proceedings of the Integrated Ocean Drilling Program, vol. 338, Yokohama (Integrated Ocean Drilling Program Management International, Inc.). doi:10.2204/iodp.proc.338.205.2016. Hiroki HAYASHI, 2016, Topography of the Kotogahama beach, Nima-cho, Oda City. Shimane-ken Chigaku Kaishi, no. 31, 19-26 (in Japanese, title translated). Hiroki HAYASHI, Tetsuya KOMURA, Hiroto OHIRA, Yoshikazu SAMPEI, Ritsuo NOMURA and Shigenori KAWANO, 2016, Geology around teh Kotogahama beach, Nima-cho, Oda City, Shimane Prefecture. Geoscience Reports of Shimane University, no. 34, 77-88 (in Japanese with English abstract). Chikara HIRAMATSU, Toshihiro TAKAHASHI, Masashi HIGASHI, Toshiaki IRIZUKI and Hiroki HAYASHI, 2015, Diatom biostratigraphy of the Miocene Kumi and Tsuma Formations in Dogo, Oki Islands, Shimane Prefecture, Japan. Journal of the Japanese Association for Petroleum Technology, vol. 80, no. 5, 375-384. (in Japanese with English abstract). Tomoki KASE, Yukito KURIHARA, Yolanda M. AGUILAR, Hita PANDITA, Allan Gil S. FERNANDO and Hiroki HAYASHI, 2015, A new cerithioidean genus Megistocerithium (Gastropoda; Mollusca) from the Miocene of Southeast Asia: a possible relict of Mesozoic �gEustomatidae�h. Paleontological Research, vol. 19, no. 4, 299-311. doi:10.2517/2015PR013. Kenji M. MATSUZAKI, Noritoshi SUZUKI, Hiroshi NISHI, Hiroki HAYASHI, Babu R. GYAWALI, Reishi TAKASHIMA and Minoru IKEHARA, 2015, Early to Middle Pleistocene paleoceanographic history of southern Japan based on radiolarian data from IODP Exp. 314/315 Sites C0001 and C0002. Marine Micropaleontology, vol. 118, 17-33. doi:10.1016/j.marmicro.2015.05.001. Takuma SUZUKI and Hiroki HAYASHI, 2015, Morphometric analyses of the genus Anadara (Bivalvia; Arcidae) from the Miocene Kubota Formation in the eastern Tanagura area, Fukushima Prefecture, Northeast Honshu, Japan. Geoscience Reports of Shimane University, no. 33, 75-88 (in Japanese with English abstract). Hiroki HAYASHI, Kazuki YAMASHITA, Pawan GOVIL, Yuki IDEHARA, Takayuki TANAKA and Hiroshi NISHI, H., 2014, Data report: middle Miocene to Pliocene planktonic foraminiferal biostratigraphy of the northern part of the Shikoku Basin, IODP Exp. 322 Site C0012. In Saito, S., Underwood, M.B., Kubo, Y., and the Expedition 322 Scientists, Proceedings of the Integrated Ocean Drilling Program, vol. 322, Tokyo (Integrated Ocean Drilling Program Management International, Inc.). doi:10.2204/iodp.proc.322.206.2014. Gregory F. MOORE, Kyuichi KANAGAWA, Michael STRASSER, Brandon DUGAN, Lena MAEDA, Sean TOCZKO and the IODP Expedition 338 Scientific Party, 2014, IODP Expedition 338: NanTroSEIZE Stage 3: NanTroSEIZE plate boundary deep riser 2. Sentific Drilling, 17, 1-12.doi:10.5194/sd-17-1-2014. Takashi GOTO, Toshiaki IRIZUKI, Yukio YANAGISAWA and Hiroki HAYASHI,2014, Miocrofossil biostratigraphy and paleoenvironments of the upper Pliocene Kuwae Formation, Northeast Japan. Paleontolocigal Research, vol. 18, no. 3, 150-168. doi:10.2517/2014PR015. Kenji M. MATSUZAKI, Hiroshi NISHI, Hiroki HAYASHI, Noritoshi SUZUKI, Babu R. GYAWALI, Minoru IKEHARA, Takuyuki TANAKA, and Reishi TAKASHIMA, 2014, Radiolarian biostratigraphic scheme and stable oxygen isotope stratigraphy in southern Japan (IODP Expedition 315 Site C0001). Newsletters on Stratigraphy, Vol. 47, 107-130. Takashi GOTO, Shinji NASUNO, Toshiaki IRIZUKI, Hiroto OHIRA and Hiroki HAYASHI, 2014, Fission track age for MT1 tuff bed and paleoenvironment in the Upper Pliocene Mita Formation, Toyama Prefecture, central Japan. Journal of the Geological Society of Japan, vol. 120, 71-86 (in Japanese with English abstract). Strasser, M., Dugan, B., Kanagawa, K., Moore, G.F., Toczko, S., Maeda, L., and the Expedition 338 Scientists, 2013, Proceedings of the Integrated Ocean Drilling Program, vol. 338. Integrated Ocean Drilling Program Management International, Inc., for the Integrated Ocean Drilling Program. Yuki Idehara, Hiroki Hayashi, Osamu Fujiwara, Daisuke Kumazawa and Toshiaki Irizuki, 2013, Temporal changes of planktonic foraminiferal assemblages in the Middle Miocene Hatatate Formation along the Natori-gawa section, Sendai City, Northeast Honshu, Japan. Kaseki (Fossils), no. 94, 5-18 (in Japanese with English abstract). Osamu FUJIWARA, Noritoshi SUZUKI, Hiroki HAYASHI and Toshiaki IRIZUKI, 2013, Middle to Upper Miocene and Pliocene sequences of southwest Sendai, as a standard referential stratigraphy in the Pacific side of NE Japan. Journal of the Geological Society of Japan, vol. 119, Supplement, 96-119 (in Japanese with English abstract). Erika SANO, Hiroaki ISHIGA, Yoshikazu SAMPEI, Tetsuya SAKAI, Toshiaki IRIZUKI and Hiroki HAYASHI, 2013, Geochemistry of tsunami sediments deposited after the 2011 off the Pacific Coast of the Tohoku Earthquake, northeast Japan. Earth Science (Chikyu Kagaku), vol. 67, 131-144 (in Japanese with English abstract). Hiroki HAYASHI, Shinpei HASHINO, Ritsuo NOMURA and Yuichiro TANAKA, 2013, Biostratigraphy of the Miocene Kuri Formation at the type locality in Oda City, Shimane Prefecture, southwestern Honshu, Japan. Journal of the Geological Society of Japan, vol. 119, 300-311 (in Japanese with English abstract). Yasutaka MATSUURA, Toshiaki IRIZUKI and Hiroki HAYASHI, 2013, Microfossil assemblages associated with argonaut fossils from the Middle Miocene Fujina Formation, Shimane Prefecture, southwest Japan. Journal of the Geological Society of Japan, vol. 119, 312-320 (in Japanese with English abstract). Takashi GOTO, Toshiaki IRIZUKI, Hiroki HAYASHI, Yuichiro TANAKA, Kazuma MATSUYAMA and Hokuto IWATANI, 2013, Stratigraphy and depositional environment of the Miocene in the Tajibe area, Okayama Prefecture, southwest Japan. Journal of the Geological Society of Japan, vol. 119, 321-333 (in Japanese with English abstract). Hiroki HAYASHI, Kyoko IDEMITSU, Bridget S. WADE, Yuki IDEHARA, Katsunori KIMOTO, Hiroshi NISHI and Hiroki MATSUI, 2013, Middle Miocene to Pleistocene planktonic foraminiferal biostratigraphy in the eastern equatorial Pacific Ocean. Paleontological Research, vol. 17, 91-109. Hiroki HAYASHI, Akira TAKASU, Toshiaki IRIZUKI and Masahide AKASAKA, 2013, Appeal points for the Oki Islands Geopark from academic advisors. Chigakukyoiku to Kagaku-undo (Reports for Education, The Association for the Geological Collaboratin in Japan), no. 69, 18-26 (in Japanese). Gengo TANAKA, Miho ITAMI, Sachie KUROSAWA, Ayumi YOSHIOKA, Mari YOKOTA, Rina ARAI, Yuki IDEHARA and Hiroki HAYASHI, 2013, The depositional environment of the singular Middle Miocene strata from southwestern Tomioka City, Gunma Prefecture, central Japan, from the view point of fossil ostracod assemblage. The Journal of the Geological Society of Japan, vol. 119, 17-24 (in Japanese with English abstract). Heiko PAELIKE, Mitchell W. LYLE, Hiroshi NISHI, Isabella RAFFI, Andy RIDGWELL, Kusali GAMAGE, Adam KLAUS, Gary ACTON, Louise ANDERSON, Jan BACKMAN, Jack BALDAUF, Catherine BELTRAN, Steven M. BOHATY, Paul BOWN, William BUSCH, Jim�@E. T. CHANNELL, Cecily O. J. CHUN, Margaret DELANEY, Pawan DEWANGAN, Tom DUNKLEY JONES, Kirsty M. EDGAR, Helen EVANS, Peter FITCH, Gavin L. FOSTER, Nikolaus GUSSONE, Hitoshi HASEGAWA, Ed C. HATHORNE, Hiroki HAYASHI, Jens O. HERRLE, Ann HOLBOURN, Steve HOVAN, Kiseong HYEONG, Koichi IIJIMA, Takashi ITO, Shin-ichi KAMIKURI, Katsunori KIMOTO, Junichiro KURODA, Lizette LEON-RODRIGUEZ, Alberto MALINVERNO, Ted C. MOORE Jr, Brandon H. MURPHY, Daniel P. MURPHY, Hideto NAKAMURA, Kaoru OGANE, Christian OHNEISER, Carl RICHTER, Rebecca ROBINSON, Eelco J. ROHLING, Oscar ROMERO, Ken SAWADA, Howie SCHER, Leah SCHNEIDER, Appy SLUIJS, Hiroyuki TAKATA, Jun TIAN, Akira TSUJIMOTO, Bridget S. WADE, Thomas WESTERHOLD, Roy WILKENS, Trevor WILLIAMS, Paul A. WILSON, Yuhji YAMAMOTO, Shinya YAMAMOTO, Toshitsugu YAMAZAKI and Richard E. ZEEBE, 2012, A Cenozoic record of the equatorial Pacific carbonate compensation depth. Nature, vol. 488, 609-615. Hokuto IWATANI, Toshiaki IRIZUKI and Hiroki HAYASHI, 2012, Global cooling in marine climates and local tectonic events in Southwest Japan at the Plio-Pleistocene boundary. Palaeogeography, Palaeoclimatology, Palaeoecology, vol. 350-352, 1-18. Saeko ISHIHAMA, Hiroyuki YAMASHITA, Daiji HIRATA, Kei ODAWARA, Toru DANHARA, Hideki IWANO, Hiroki HAYASHI and Yusuke IZAKI, 2012, Geochronology of the Neogene System in the Oiso Hill, Kanagawa Prefecture, central Japan. Res. Rep. Kanagawa Pref. Mus. Nat. Hist., no. 14, 137-144 (in Japanese with English abstract). Hiroki HAYASHI, Koichi IHARA, Mahito WATANABE and Yuichiro TANAKA, 2011, Combined microbiostratigraphy of the Miocene Kumi Formation at the type locality in Okinoshima Town, Oki Dogo Island, Shimane Prefecture. Geoscience Reports of Shimane University, no. 30, 47-56 (in Japanese with English abstract). Hiroki HAYASHI, Satoru ASANO, Yasuhiro YAMASHITA, Takayuki TANAKA, and Hiroshi NISHI, 2011, Data report: late Neogene planktonic foraminiferalbiostratigraphy of the Nankai Trough, IODP Expedition 315. Proceedings of the Integrated Ocean Drilling Program, vol. 314/315/316, 1-20. Kei ODAWARA, Hiroki HAYASHI, Yusuke IZAKI, Makoto SOMENO and Tanio ITO, 2011, Geological structure of teh Izu collision zone, northern border of the Izu block, southern Kanto. Journal of the Geological Society of Japan, vol. 117, Supplement, 135-152 (in Japanese with English abstract). Ryuichi MAJIMA, Robert G. JENKINS, Tomoki KASE, Yolanda M. AGUILAR, Takehiro NANJO, Ryoji WANI, Hideki WADA, Allan Gil S. FERNANDO and Hiroki HAYASHI, 2010, In situ Calyptogena colonies from Pliocene back-arc basin fills in Leyte Island, Philippines. Jour. Geol. Soc. Japan, vol. 116, Pictorial, XV-XVI. Hiroki HAYASHI, Takahiro NAKAMITSU, Yo UESUGI, Keiji KASAHARA and Shoji SEKIGUCHI, 2010, Drilling survey at the Maruyama Mountain in the Yamakita Town, western part of Kanagawa Prefecture, central Honshu, Japan :Toward the investigation of the Quaternary fault suggested by the borehole survey of the Yamakita-minami observatory well. Report of the National Research Institute for Earth Science and Disaster Prevention, no. 77, 19-30 (in Japanese with English abstract). Lyle, M., Paelike, H., Nishi, H., Raffi, I., Gamage, K., Klaus, A., and the Expedition 320/321 Scientists, 2010, The Pacific Equatorial Age Transect, IODP Expeditions 320 and 321: Building a 50-Million-Year-Long Environmental Record of the Equatorial Pacific Ocean. Scientific Drilling, 9, 4-15. Kei ODAWARA, Hiroki HAYASHI and Hiroyuki YAMASHITA, 2010, Microfossil age of the Yato Formation on Umesawa Coast, Ninomiya Town, Kanagawa Prefecture, central Japan. Bulletin of the Hot Spring Research Institute of Kanagawa Prefecture, vol. 41, 47-50 (in Japanese with English abstract). Hokuto IWATANI, Kenyu MURAI, Toshiaki IRIZUKI, Hiroki HAYASHI and Yuichiro TANAKA, 2009, Discovery of the oldest fossil of Argonauta hians in Japan, from the middle Pliocene Sadowara Formation, southwest Japan, and its depositional age. Journal of the Geological Society of Japan, vol. 115, 548-551 (in Japanese with English abstract). Lyle, M., Raffi, I., Paelike, H., Nishi, H., Gamage, K., Klaus, A., and the Expedition 320/321 Scientists, 2009, Pacific Equatorial Transect. Preliminary Report of Integrated Ocean Drilling Program Exp. 321. Hiroki HAYASHI, Masahide AKASAKA and Akira TAKASU, 2009, Recent activities for the establishment of the San-in Shimane Geopark. Gekkan Chikyu, vol. 31, no.8, 437-444 (in Japanese). Ashi, J., Lallemant, S., Masago, H., and the Expedition 315 Scientists, 2008, NanTroSEIZE Stage 1A: NanTroSEIZE megasplay riser pilot. Preliminary Report of Integrated Ocean Drilling Program Exp. 315. Hiroki HAYASHI, Takahiro NAKAMITSU, Yukio YANAGISAWA, Mahito WATANABE, Seiji HORIUCHI, Chieko SHIMADA, Atsushi KITAMURA, Shoji SEKIGUCHI and Keiji KASAHARA, 2009, Borehole Geology and Age of the Hasunuma Seismic Observatorion Well, Sanbu City, Chiba Prefecture, Central Honshu, Japan. Report of the National Research Institute for Earth Science and Disaster Prevention, no. 73, 19-39 (in Japanese with English abstract). Osamu FUJIWARA, Yukio YANAGISAWA, Toshiaki IRIZUKI, Masanori SHIMAMOTO, Hiroki HAYASHI, Tohru DANHARA, Keisuke FUSE and Hideki IWANO, 2008, Chronological data for the Middle Miocene to Pliocene sequence around the southwestern Seindai Plain, with special reference to teh uplift history of the Ou backbone range. Bulletin of the Geological Survey of Japan, vol. 59, 423-438. Hiroki HAYASHI and Masaki TAKAHASHI, 2008, Numerical age of the planktonic foraminiferal zonal boundary between N.15 and N.16 in the mid-latitude northwest Pacific region. Bulletin of the Geological Survey of Japan, vol. 59, 415-422. Hiroaki KARASAWA, Hisayoshi KATO, Tomoki KASE, Yolanda MAAC-AGUILAR, Yukito KURIHARA, Hiroki HAYASHI and Kyoko HAGINO, 2008, Neogene and Quaternary Ghost Shrimps and Crabs (Crustacea: Decapoda) from the Philippines. Bulletin of the National Science Museum of Tokyo, Series C, vol. 34, 51-76. Hiroki HAYASHI, Yukio YANAGISAWA, Tetsuya TAKEDA, Shoji SEKIGUCHI and Keiji KASAHARA, 2008, Geologic age and seismic velocity of Neogene sequences beneath the Kanto Plain, central Honshu, Japan. Fission-Track Newsletter, no. 21, 9-15 (in Japanese with English abstract). Tomoki KASE, Yukito KURIHARA, Hiroki HAYASHI, Hita PANDITA and Yolanda Maac AGUILAR, 2008, Age refinement of the Sonde molluscan fauna, east Java, Indonesia. Mem. Natl. Mus. Nat. Sci., Tokyo�C no.45, 127-138. 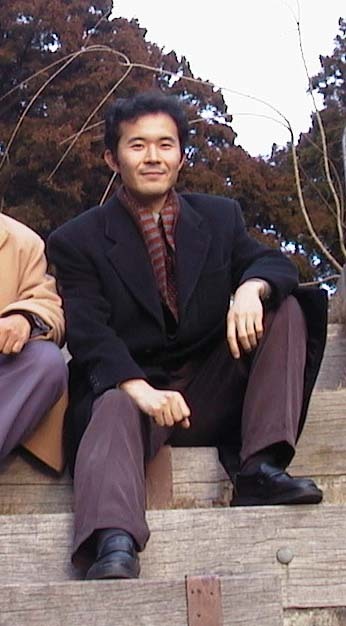 Ryoji WANI, Roberto S.P. de OCAMPO, Yolenda M. AGUILAR, Maybellyn A. ZEPEDA, Yukito KURIHARA, Kyoko HAGINO, Hiroki HAYASHI and Tomoki KASE, 2008, First discovery of fossil Nautilus pompilius Linnaeus, 1758 (Nautilidae, Cephalopoda) from Pangasinan, northwestern Philippines. Paleontological Research, vol. 12, 89-95. Hiroki HAYASHI, Yuichiro TANAKA, Mahito WATANABE and Mutsuharu AOSHIMA, 2008, Microfossil age of the Miocene sequence exposed along the Kinugawa River, Utsunomiya City, Tochigi Prefecture, central Honshu, Japan. Journal of the Geological Society of Japan, vol. 114, 141-144 (in Japanese with English abstract). Takahiro NAKAMITSU, Hiroki HAYASHI, Yorihiro SAWADA, Masayuki HYODO, Shoji SEKIGUCHI and Keiji KASAHARA, 2007, Magnetostratigraphic study of volcanic rocks from the Yamakita-Minami seismic observation well, Yamakita Town, Kanagawa Prefecture, Central Honshu, Japan. Bulletin of the Hot Spring Research Institute of Kanagawa Prefecture, vol. 39, 57-62 (in Japanese with English abstract). Shoji SEKIGUCHI, Hiroki HAYASHI, Masashi TSUKUI, Yo UESUGI, Tanio ITO, Yuichiro TANAKA, Masaki TAKAHASHI, Yukio YANAGISAWA, Fumio YAMAMIZU, Kazushige OBARA, Sadaki HORI, Katsuhiko SHIOMI, Hisanori KIMURA, Makoto MATSUBARA and Keiji KASAHARA, 2006, Deep drilling at the arc-arc collision zone in the Yamakita area, central Honshu, Japan. Bulletin of the Earthquake Research Institute, vol. 81, 291-294. Makoto MATSUBARA, Shutaro SEKINE, Hiroki HAYASHI, Kazushige OBARA and Keiji KASAHARA, 2007, Philippine Sea plate imaged by three-dimentional velosity and Q structure derived from the tomographic method with NIED Hi-net data. Gekkan Chikyu, no. 57, 60-70 (in Japanese with English title). Hiroki HAYASHI, Tanio ITO, Yo UESUGI, Keiji KASAHARA, Shoji SEKIGUCHI, Masaki TAKAHASHI, Masashi TSUKUI, Takumi MATSUMOTO, Fumio YAMAMIZU and Yukio YANAGISAWA, 2007, Deep drilling at the northeastern part of the Izu collision zone, central Honshu, Japan. Gekkan Chikyu, no. 57, 140-147 (in Japanese with English title). Masashi TSUKUI, Masaru YAMAZAKI, Tomoyuki MATSUI, Hiroko OYAMADA, Yo UESUGI, Hiroki HAYASHI, Yukio YANAGISAWA and Keiji KASAHARA, 2006, Volcanics and constraints on the shallow crustal structure of Northern and Izu arc -from Hakone and Pre-Hakone volcanic rocks recovered from deep drilling at Yamakita-minami area, Kanagawa Prefecture, central Honshu, Japan. Bull. Geol. Surv. Japan, vol. 57, 197-215 (in Japanese with English abstract). Hiroki HAYASHI, Tanio ITO, Yo UESUGI, Hiroko OYANADA, Keiji KASAHARA, Shoji SEKIGUCHI, Masaki TAKAHASHI, Yuichiro TANAKA, Masashi TSUKUI, Tomoyuki MATSUI, Takumi MATSUMOTO, Masaru YAMAZAKI, Ryuji TAMADA, Fumio YAMAMIZU, Yukio YANAGISAWA and Masato WATANABE, 2006, Borehole drilling and physical properties of the Yamakita-minami seismic observatory in western Kanagawa Prefecture, central Honshu, Japan. Technical Note of the National Research Institute for Earth Science and Disaster Prevention, no.298, 1-32 (in Japanese with English abstract). Hiroki HAYASHI, Kohei ABE, Yukio YANAGISAWA and Keiji KASAHARA, 2006, Foraminiferal fossils from core samples of the Yamakita-minami seismic observatory well in the western part of Kanagawa Prefecture, central Honshu, Japan. Bulletin of the Geological Survey of Japan, vol. 57, 127-133 (in Japanese with English abstract). Hideo TAKAGI, Hiroyoshi SUZUKI, Masaki TAKAHASHI, Takuji HAMAMOTO and Hiroki HAYASHI, 2006, Geological correlation of the basement cores of the Iwatsuki borehole and location of the Median Tectonic Line in the Kanto Plain. Journal of Geological Society of Japan, vol. 112, 53-64 (in Japanese with English abstract). Masaki TAKAHASHI, Hiroki HAYASHI, Keiji KASAHARA and Hisanori KIMURA, 2006, Geologic interpretation of the seismic reflection profile along the western margin of the Kanto Plain -with special reference to the Yoshimi metamorphic rocks and western extension of the Tonegawa Tectonic Line-. Journal of Geological Society of Japan, vol. 112, 33-52 (in Japanese with English abstract). Hiroki HAYASHI, Keiji KASAHARA and Hisanori KIMURA, 2006, Pre-Neogene basement rocks beneath the Kanto Plain, central Japan. Journal of Geological Society of Japan, vol. 112, 2-13(in Japanese with English abstract). Yuki FUJIWARA, Toshiaki IRIZUKI, Hiroki HAYASHI, Yuichiro TANAKA, Mayuko WATANABE and Kenjiro SHIMIZU, 2005, Stratigraphy and age of the Miocene Awa Group, eastern Iga City, Mie Prefecture, central Japan. Journal of Geological Society of Japan, vol. 111, 779-791(in Japanese with English abstract). Makoto MATSUBARA, Hiroki HAYASHI, Kazushige OBARA and Keiji KASAHARA, 2005, Low-velocity oceanic crusts at the top of the Philippine Sea and Pacific plates beneath the Kanto region, central Japan, imaged by seismic tomography. Journal of Geophisical Research, vol. 110, B12304, doi:10.1029/2005JB003673. Hiroki HAYASHI, Keiji KASAHARA, Hisanori KIMURA, Taku KAWANAKA and Yoichi Ota, 2005, Seismic reflection survey using vibroseis at Taiyo Village, Ibaraki Prefecture, central Honshu, Japan, and its implication of the southern trace of the Tanagura Tectonic Line. Zisin (Journal of the Seismological Society of Japan), vol. 58, no. 1, 29-40. Hiroki HAYASHI, 2005, Correlation between the geologic structure and seismicity concerning to the 2004 Mid Niigata Earthquake. Report of the Coordinating Committee for Earthquake Prediction, Vol. 73, 399-402. Masaki TAHAHASHI, Hiroki HAYASHI, Keiji KASAHARA, Takeshi IKAWA, Taku KAWANAKA and Shigeyuki SUDA, 2005, Miocene subsurface half-grabens in the Kanto Plain, central Japan -A new viewpoint for subsurface geologic structure on the basis of surface geology-. Report of the National Research Institute for Earth Science and Disaster Prevention, no. 67, 13-28. Ryuji YAMADA, Hiroki HAYASHI and Keiji KASAHARA, 2004, Fission-track dating of felsic pumice tuff distributed in and around the Kinugawa Lowland of Tochigi Prefecture, central Honshu, Japan. Fission-Track Newsletter, no. 17, 9-16 (in Japanese with English abstract). Hiroki HAYASHI, Masaki TAKAHASHI and Keiji KASAHARA, 2004, Subsurface distribution of the Neogene deposits in the Kanto Plain, central Honshu, Japan. Journal of the Japanese Association for Petroleum Technology, vol. 69, 574-586(in Japanese with English abstract). Hiroki HAYASHI, Seiji HORIUCHI, Masaki TAKAHASHI and Keiji KASAHARA, 2004, Stratigraphic correlation of subsurface Neogene deposits in the Kanto Plain, central Japan. Journal of the Japanese Association for Petroleum Technology, vol. 69, 404-416(in Japanese with English abstract). Hiroki HAYASHI, Yukito KURIHARA and Toyosaburo SAKAI, 2004, Age correlation of the Miocene marine sequence in the Utsunomiya Hills area, central Japan. Journal of the Japanese Association for Petroleum Technology, vol. 69, 361-373(in Japanese with English abstract). Hiroki HAYASHI and Masaki TAKAHASHI, 2004, Numerical age of the boundary between planktonic foraminiferal zones N.13 and N.14 at Japan. Newsletters on Stratigraphy, vol. 40, no. 1/2, 123-135. Hiroki HAYASHI, Masaki TAKAHASHI, Yukio YANAGISAWA, Fumio YAMAMIZU, Mahito WATANABE, Seiji HORIUCHI, Shiro HASEGAWA and Keiji KASAHARA, 2004, Borehole geology and age of the Kamogawa deep observatory, Chiba Prefecture, central Honshu, Japan. Report of the National Research Institute for Earth Science and Disaster Prevention, no. 65, 97-118(in Japanese with English abstract). Masaki TAKAHASHI and Hiroki HAYASHI, 2004, Geology and integrated chronostratigraphy of the Miocene marine sequence in the Tomioka area, Gunma Prefecture, central Japan. Journal of the Geological Society of Japan, vol. 110, no. 3, 175-194 (in Japanese with English abstract). Hiroki HAYASHI and Masaki TAKAHASHI, 2004, Miocene planktonic foraminiferal biostratigraphy of the upper part of the Arakawa Group in the Karasuyama area, Tochigi Prefecture, central Japan. Journal of the Geological Society of Japan, vol. 110, no. 2, 85-92 (in Japanese with English abstract). Isao MOTOYAMA, Nobuaki NIITSUMA, Toshiaki MARUYAMA, Hiroki HAYASHI, Shin-ichi KAMIKURI, Masamichi SHIONO, Toshiya KANAMATSU, Chikako MORISHITA, Kaori AOKI, Kyoko HAGINO, Hiroshi NISHI and Motoyoshi ODA, 2004, A middle Miocene to Pleistocene magnetobiostratigraphy of the ODP Sites 1150 and 1151, Northwest Pacific: sedimentation rate and updated regional geologic time scale. The Island Arc, vol. 13, issue 1, 289-305. Hiroki HAYASHI, 2004, Faunal analysis of Neogene planktonic foraminifera from forearc sediments of Japan Trench, ODP Site 1151, Leg 186. The Island Arc,vol. 13, issue 1, 318-331. Yukio YANAGISAWA and Hiroki HAYASHI, 2003, Marine diatom biostratigraphy and biohorizons of the middle Miocene sequence in Ichinoseki area, Iwate Prefecture, northeastern Japan. Bulletin of the Geological Survey of Japan, vol. 54, 49-62 (in Japanese with English abstract). Yukio YANAGISAWA, Tatsuhiko YAMAGUCHI, Hiroki HAYASHI and Masaki TAKAHASHI, 2003, Marine diatom biostratigraphy of the upper Miocene Kubota Formation in the eastern Tanagura area, Fukushima Prefecture, Japan. Bulletin of the Geological Survey of Japan, vol. 54, 29-48 (in Japanese with English abstract). Akira SASAKI, Motoyoshi ODA, Kazuma YOKOTA, Hiroki HAYASHI and Atsushi NODA, 2003, Preliminary study of the planktonic foraminiferal assemblage from the surface sediments off the Kushiro coast, Hokkaido, Japan. GSJ Interim Report, no. 26, 108-113 (in Japanese). Hiroki HAYASHI, Yukito KURIHARA, Seiji HORIUCHI, Tomohiro IWASHITA and Yukio YANAGISAWA, 2003, Planktonic foraminiferal biostratigraphy of the Miocene sequence in the Iwadono Hills, central Japan: A integrated approach. Palaios, vol.18, 176-191. Hiroki HAYASHI, Chikako MORISHITA and Motoyoshi ODA, 2002, Planktonic foraminiferal biostratigraphy of the Japan Trench, ODP Leg 186. Proceedings of the Ocean Drilling Program, Scientific Results, vol.186. Hiroki HAYASHI, Tatsuhiko YAMAGUCHI, Masaki TAKAHASHI and Yukio YANAGISAWA, 2002, Planktonic foraminiferal biostratigraphy of the upper Miocene Kubota Formation in the eastern Tanagura area, Northeast Japan. Bulletin of the Geological Survey of Japan, vol.53, 409-420. Hiroki HAYASHI and Masaki TAKAHASHI, 2002, Planktonic foraminiferal biostratigraphy of the Miocene Arakawa Group in central Japan. In Tsuchi, R., ed., Proceedings of VII-RCPNS: Revista Mexicana de Ciencias Geologicas, vol. 19, 190-205. Masaki TAKAHASHI, Hideki IWANO, Yukio YANAGISAWA and Hiroki HAYASHI, 2001, Fission track age of the Kt-7 Tuff in the Miocene Kubota Formation in the eastern Tanagura area, Northeast Japan. Bulletin of the Geological Survey of Japan, vol. 52, 291-301. Tatsuhiko YAMAGUCHI and Hiroki HAYASHI, 2001, Late Miocene ostracodes from the Kubota Formation, Higashi-Tanagura Group, Northeast Japan, and their implications for bottom environments. Paleontlogical Research, vol. 5, no. 4, 241-258. Masaki TAKAHASHI, Hiroki HAYASHI, Toru DANHARA, Hideki IWANO and Toshinori OKADA, 2001, K-Ar and fission track ages of the Kt-1 Tuff in the Miocene marine sequence in the Tanagura area, Northeast Japan. Journal of the Japanese Association for Petroleum Technology, vol.66, no.3, 311-318. Masaki TAKAHASHI, Hiroki HAYASHI, Hideki IWANO and Toshinori OKADA, 2001, Geochronologic constraints on some important calcareous microfossil biohorizons in the lower part of the Miocene Karasuyama sequence, Japan. In Odin, G.S., ed., Phanerozoic Time Scale: Bulletin of Liaison and Informations, IUGS Subcommission of Geochronology, vol. 16, 27-36. Masaki TAKAHASHI, Yukio YANAGISAWA, Hiroki HAYASHI, Hideki IWANO and Toshinori OKADA, 2001, Integrated stratigraphy of the Miocene marine sequence in the Tanagura area, Northeast Japan. In Odin, G.S., ed., Phanerozoic Time Scale: Bulletin of Liaison and Informations, IUGS Subcommission of Geochronology, vol. 16, 18-26. Masanori SHIMAMOTO, Satoshi OTA, Hiroki HAYASHI, Osamu SASAKI and Tsunemasa SAITO, 2001, Planktonic foraminiferal biostratigraphy of the Miocene Hatatate Formation in southwestern Sendai City, Northeast Japan. Journal of the Geological Society of Japan, vol. 107, no. 4, 258-268 (in Japanese with English abstract). Masaki TAKAHASHI, Hiroki	HAYASHI, Yuichiro TANAKA and Toshinori OKADA, 2000, Integrated stratigraphy of the lower part of the Miocene Karasuyama sequence, central Japan. Journal of the Japanese Association for Petroleum Technology, vol. 65, no. 6, 571-583. Hiroki HAYASHI, Masaki TAKAHASHI, 2000, Planktonic foraminiferal biostratigraphy of the middle part of the Miocene Arakawa Group in the Karasuyama area, Tochigi Prefecture, central Japan. Journal of the Geological Society of Japan, vol. 106, no. 10, 689-702 (in Japanese with English abstract). Hiroki HAYASHI, Yukio YANAGISAWA, Noritoshi SUZUKI, Yuichiro TANAKA and Tsunemasa SAITO, 1999, Integrated microbiostratigraphy of the Middle Miocene sequences in the Shimokurosawa district, Ichinoseki City, Iwate Prefecture, Northeast Japan. Journal of the Geological society of Japan, vol.105, no.7, 480-494 (in Japanese with English Abstract). Tomohiro IWASHITA and Hiroki HAYASHI, 1998, Software "ColumnMaker" making columnar section. Journal of the Geological society of Japan, vol.104, no.10, 726-729 (written in Japanese). Masanori SHIMAMOTO, Hiroki HAYASHI, Noritoshi SUZUKI, Yuichiro TANAKA and Tsunemasa SAITO, 1998, Lithostratigraphy and microfossil biochronology of Neogene sediments in the eastern Tanagura area, Fukushima Prefecture, Northeast Japan. Journal of the Geological society of Japan, vol.104, no.5, 296-312 (in Japanese with English Abstract). Hiroyuki HOSHI, Hikoma OSHIDA, Hiroki HAYASHI, Hideki IWANO, Tohru DANHARA, Yukito KURIHARA, and Yukio YANAGISAWA, 2018, Age of the N7/N8 (M4/M5) planktonic foraminiferal zonal boundary determined from magnetobiostratigraphy and zircon geochronology. American Geophygical Union Fall Meeting 2018, GP43B-0779 (Washington, DC., 13/Dec/2018). Hiroyuki HOSHI, Hikoma OSHIDA, Hiroki HAYASHI, Hideki IWANO, Tohru DANHARA, Yukito KURIHARA, and Yukio YANAGISAWA, 2018, Dating the N7/N8 (M4/M5) planktonic foraminiferal zonal boundary. European Geoscience Union 2018 (Vienna, Austria, 13/April/2018). Hiroki HAYASHI, Ryu TANIGUCHI, David L. DETTMAN and Masayuki HYODO, 2015, Temporal faunal changes in fossil planktonic foraminifera across the Matuyama-Brunhes transition at Tabuchi, Chiba Prefecture, central Honshu, Japan. The XIX Congress of the International Union for Quaternary Research (Nagoya Congress Center, Nagoya City, 01-Aug-2015). Masayuki HYODO, Kenta TAKAHASHI, Hayato MATSUSHITA, Shigehiro KATOH, Ikuko KITABA, David L. DETTMAN, Hiroki HAYASHI, and Makoto OKADA, 2015, High-resolution Matuyama-Brunhes magnetic polarity transition record from an oriented core of the Kokumoto Formation at Tabuchi, Chiba, central Japan. The XIX Congress of the International Union for Quaternary Research (Nagoya Congress Center, Nagoya City, 01-Aug-2015). Wade, B., Holborn, A., Hayashi, H. and the Expedition 320/321 Shipboard Scientific Party, 2010, Neogene foraminiferal assemblages from the Pacific Equatorial Age Transect: IODP Sites U1337 and U1338. International Symposium on Foraminifera (Bonn, Germany, 8-Sep-2010). Zhao, X., Kitamura, Y., Su, X., Girault, F.E., Kanamatsu, T., Pares, J.M., Boeckel, B., Hayashi, H., and Exp. 314/315/316 Scientists, 2008, New magnetostratigraphic and rock magnetic results from sediments and rocks of IODP Expedition 316. 2008 AGU Fall Meeting (San Francisco, 17-Dec-2008). Lallemant, S.J., Henry, P., Ashi, J., Boeckel, B., Hayashi, H., Masago, H., Strasser, M., and Exp. 314/315/316 Scientists, 2008, Accretionary wedge growth and the limit of the seismogenic zone. 2008 AGU Fall Meeting (San Francisco, 15-Dec-2008). Toshiya KANAMATSU, Hiroki HAYASHI, Babette BOECKEL, Josep PARES, Juichiro ASHI, Siegfried LALLEMANT, Hideki MASAGO and IODP Expedition 315 Scientists, 2008, Stratigraphy of Kumano forearc and slope sequences: Sites IODP C0001 and C0002, Expedition 315, �gNantroSEIZE Megasplay Riser Pilot�h. 6th International Conference on Asia Marine Geology (Kochi, 31-Aug-2008). Hokuto IWATANI, Toshiaki IRIZUKI, Hiroki HAYASHI and Yuichiro TANAKA, 2007, Cyclic changes of fossil ostracodes and biostratigraphy of the upper Pliocene Miyazaki Group, Southwest Japan. The 9th International Conference of Pacific Neogene Stratigraphy (Tsukuba City, 03-Oct-2007). Toshiaki IRIZUKI, Daisuke KUMAZAWA, Hiroki HAYASHI, Osamu FUJIWARA and Yukio YANAGISAWA, 2007, Ostracode and planktonic foraminiferal biohorizons in the middle Miocene Hatatate Formation, Northeast Japan, with implication of global climatic changes. The 9th International Conference of Pacific Neogene Stratigraphy (Tsukuba City, 03-Oct-2007). Osamu FUJIWARA, Yukio YANAGISAWA, Toshiaki IRIZUKI, Masanori SHIMAMOTO, Hiroki HAYASHI, Keisuke FUSE and Tohru DANHARA, 2007, Depositional cycles and relative sea-level changes in the Miocene-Pliocene shelf and coastal sequence along the SW margin of Sendai Plain, NE Japan. The 9th International Conference of Pacific Neogene Stratigraphy (Tsukuba City, 03-Oct-2007). Hiroki HAYASHI and Masaki TAKAHASHI, 2007, Revised Miocene planktonic foraminiferal biostratigraphy of the northwestern Pacific region: Calibration to the new geologic time scale (GTS2004) and CK95. The 9th International Conference of Pacific Neogene Stratigraphy (Tsukuba City, 02-Oct-2007). Masaki TAKAHASHI, Yukio YANAGISAWA, Keiji KASAHARA, Haruko SEKIGUCHI and Hiroki HAYASHI, 2005, Subsurface half-grabens in the Kanto Plain, central Japan, and its effect for long-period strong motion. The 2nd International Workshop of Strong Ground Motion Prediction and Earthquake Tectonics in Urban Areas (Oct-2005, Tokyo, Japan). Shoji SEKIGUCHI, Hiroki HAYASHI, Masashi TSUKUI, Yo UESUGI, Tanio ITO, Yuichiro TANAKA, Masaki TAKAHASHI, Yukio YANAGISAWA, Fumio YAMAMIZU, Kazushige OBARA, Sadaki HORI, Katsuyuki SHIOMI, Hisanori KIMURA, Makoto MATSUBARA, and Keiji KASAHARA, 2005, Deep drilling at the arc-arc collision zone in the Yamakita area, central Honshu, Japan. The 2nd International Workshop of Strong Ground Motion Prediction and Earthquake Tectonics in Urban Areas (Oct-2005, Tokyo, Japan). Makoto MATSUBARA, Hiroki HAYASHI, Kazushige OBARA and Keiji KASAHARA, 2004, Low velosity oceanic crusts at the uppermost part of the subducting plates beneath Japan Arc derived from seismic tomography. The 2004 AGU Fall Meeting. Hiroki HAYASHI, Ryuji YAMADA, Seiji HORIUCHI, Mutsuharu AOSHIMA and Keiji KASAHARA, 2004, Subsurface geology of the intra-arc basin of the Northeast Honshu Arc, central Japan -a case study near the Tokyo metropolitan area-. The 32nd International Geological Congress. Shoji SEKIGUCHI, Hiroki HAYASHI, Fumio YAMAMIZU, Kazushige OBARA, Sadaki HORI, Hisanori KIMURA, Makoto MATSUBARA, Yukio YANAGISAWA and Keiji KASAHARA, 2004, Borehole drilling above the descending Philippine Sea plate at the southern Kanto Area, Japan, and the geological interpretation of the core samples. International Workshop of Strong Ground Motion Prediction and Earthquake Tectonics in Urban Areas (June 2004, Tokyo, Japan). Masaki TAKAHASHI, Yukio YANAGISAWA, Hiroki HAYASHI, Keiji KASAHARA, Takashi IKAWA, Taku KAWANAKA and Shigeyuki SUDA, 2004, Miocene subsurface half-grabens in the Kanto Plain, central Japan. International Workshop of Strong Ground Motion Prediction and Earthquake Tectonics in Urban Areas (June 2004, Tokyo, Japan). Hiroki HAYASHI, 2001, Planktonic foraminiferal biostratigraphy of Japan. The 7th International Conference on Paleoceanography. Hiroki HAYASHI and Masaki TAKAHASHI, 1999, Planktonic foraminiferal biostratigraphy of the Miocene Arakawa Group in central Japan. The 7th International Congress of Pacific Neogene Stratigraphy. Hiroki HAYASHI, 2000, Miocene planktonic foraminiferal biostratigraphy of the Northwest Pacific realm. Doctoral dissertation, Tohoku University. Hiroki HAYASHI, 1998, Planktonic foraminiferal biostratigraphy and paleoceanological implication of middle Miocene sequences in Northeast Japan. Master thesis of graduate school of science, Tohoku University (written in Japanese). Hiroki HAYASHI, 1996, The stratigraphic study of the Shiobara-type molluscan fauna in the Higashitanagura area, Fukushima Prefecture, Northeast Japan. Graduate thesis of Tohoku University (written in Japanese).